 Auburn Abstract Company is a locally owned Title Insurance and Real Estate Closing Agency that has been serving DeKalb County since 1899. We are approved agents for Old Republic National Title Insurance Company and Commonwealth Land Title Insurance Company, which are both national underwriters, and Arsenal Insurance Corporation, which is a domestic company. All of these resources give us the flexibility to meet your title insurance needs. Our friendly and experienced closing department is there for you from start to finish and is always willing to work around your busy schedule.